It’s happening again. The monkey (a.k.a. end of year stress) is climbing up my spine and camping out on my shoulders, where all things unpleasant seem to live in my corpus. It happens to most of us, especially at this time of year. ‘Tis the Season. My husband and I were discussing this just yesterday, as we both squeezed out some time off work to make the annual schlep to the shopping mall for the Holiday Drama. Never mind that our Christmas tree has been up for 2 weeks (that in itself was a wonderment, as it sat un-decorated for 1 of the 2 weeks…). Until yesterday, we had not ONE present under its scented green boughs. Honestly, if he had not taken the lead and forced me to shop, there still wouldn’t be…points for him. Just as I am beginning to flag under the demands, I hear the Classical Christmas music playing on the stereo in the background. It seems I never noticed that my husband snuck into the room and turned it on. My favourite song is playing and I am pulled away from staring down the Monkey – and my soul moves into the beauty and reverence of the sounds…literally. I have been to Israel and so it is not hard for me to picture the low hills of Bethlehem, wrapped in purple shadows and the cool star-studded night. Suddenly I exhale and take in a breath of fresh sweet non-toxic air as my mind’s eye takes me away…I am walking in the fields amidst sheep and shepherds as we meander toward a small unimpressive village. At the distant edge of its borders is a shelter tucked into the rocky hill. There is a strange light coming from it. Soon, I am inhaling the sweet smell of hay, I hear the mellow tones of the animals as their soft voices reverberate off walls of the stable…it is warm here, and I feel safe. There she is, a gentle-faced teenage mother resting on a pile of hay covered with a horse blanket; an older man hovers close to her. I watch as he gently plays with the tiny digits of a newborn… they all look tired – but peacefully content. The baby boy is held closely in her arms. She buries her nose in the scented-folds of his soft neck. She breaths in the delicate aroma of heaven on earth. He is nursing, soaking in all His mom’s love and goodness He can get. He is very young. He is very strong. All is good. It is a silent night. It is a night full of God’s glory. May the Gift and Miracle of Christmas keep you and your heart in This Season all year. Life lessons, Observations, What Is Truth? Thanks also for the mention! Thank you. I think your blog is fun. Love how family centric it is! Blessings on your efforts! Thanks for joining the fun!!! Merry Christmas!! What a blessed coincidence – I had just received an online Christmas card that played silent night, and then I read your blog. Sigh, in the midst of the madness of bills, invoicing and laundry Jesus came to give me a window of peace this morning…..what a gift! Bless you and yours and thank you for this timely encouragement. Thank you for your kind feedback. Yes, I fear we all tend to be “Martha’s” when it was Mary who knew that sitting at the Lord’s feet would be her only pathway to peace. I pray to find more stillness this Season. 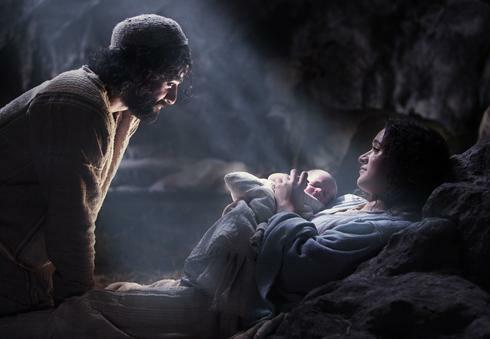 I Watched The Nativity Story last night….it helped me to remember again….Have a blessed Christmas sister in Christ.